UPDATE 11:47 a.m.: An adult female pedestrian died following a vehicle/pedestrian crash Tuesday night, Feb. 20, in Pāhoa. Responding to a 9:40 p.m. call, police determined that a 2006 Ford sedan was traveling southbound on Highway 130 near Launahele Road when it struck the female pedestrian who was in the roadway. The woman was taken to the Hilo Medical Center where she was pronounced dead at 10:31 p.m. The driver of the Ford sedan, a 40-year-old Pāhoa woman, was not injured. Police do not believe that speed or alcohol were factors in this crash. An autopsy has been ordered to determine the exact cause of death. Police ask anyone who witnessed the crash to call Officer Clarence Acob at (808) 961-2329. This is the fourth traffic fatality this year compared with four at this time last year. The Hawai‘i Fire Department reports that a female in her late 30s died after being hit by a car on Highway 130 (Pāhoa/Kalapana Road) around the 12 mile marker around on Tuesday, Feb. 20, 2018 around 9:42 p.m. Upon firefighters arrival, they found the female unconscious and laying in the Hilo-bound lane and her boyfriend stated that they were both walking on the side of the road when the female launched herself into oncoming traffic. The driver of the vehicle, who was uninjured, states she was driving at approximately 55 mph at time of impact. The sedan had moderate front end damage and a shattered windshield. Traffic was detoured to Leilani Avenue while the investigation was ongoing. The Hawai‘i Department of Transportation (HDOT) announces a “no outlet” restriction from 29th Avenue (also known as Poni Moi Avenue) onto Kea‘au Pāhoa Road (Highway 130) Monday through Friday, between the hours of 6 a.m. to 8 a.m., excluding weekends and state holidays. This restriction is effective Monday, Feb. 19, 2018, and will be conducted on a trial basis through the morning of Monday, March 5, 2018. Uncontrolled access along Highway 130 was identified as a safety concern in the Final Environmental Assessment for the Kea‘au Pāhoa Road Improvements. HDOT will consider limiting the number of access points to the highway in portions of the corridor in accordance with the recommendations from the Environmental Assessment. 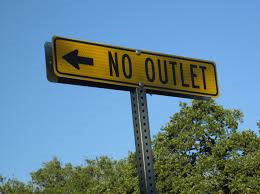 Signage to notify motorists of the “no outlet” restriction, as well as traffic control devices, will be placed at the intersection to alert motorists to the trial. HDOT would appreciate any comments on this pilot from the community. Please send comments to DOTPAO@hawaii.gov or call the HDOT Hawai‘i District at (808) 933-8866 prior to the end of the trial on Monday, March 5, 2018. 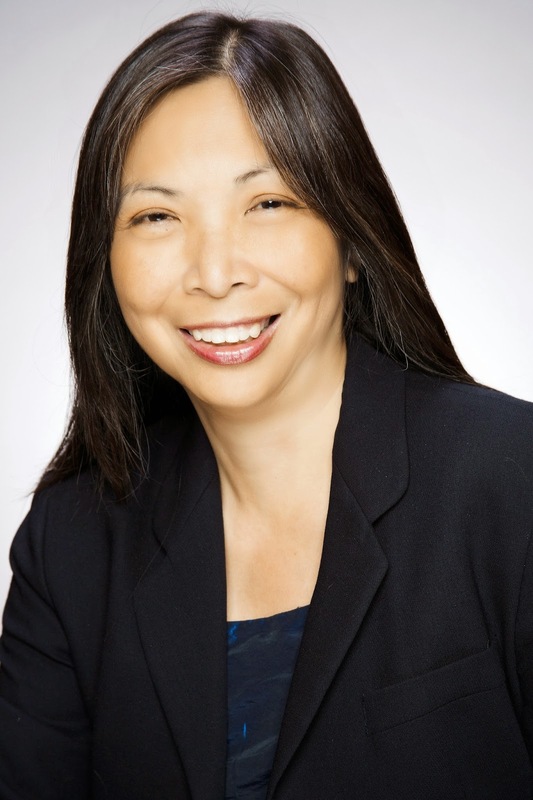 Hawai‘i Rep. Joy San Buenventura submitted House Bill 1617 relating to Capital Improvement Projects, seeking to appropriate more than $86 million in funds to help with the Puna District of Hawai‘i. On Wednesday, Jan. 18, 2018, the bill was introduced and it passed the first reading. The following projects were included on HB1617 that Rep. Buenventura is seeking appropriations for. Also included in the elementary school appropriation, $9 million for construction for a new cafeteria and administration building. Total funding sought for Pāhoa Elementary School: $9.605 million. Total funding sought for Pāhoa High and Intermediate Schools: $16.4 million. Highway 130 Map provided by Kea‘au-Pahoa Advisory Group (KPAG). The bill also would appropriate $15 million for construction of a “Highway 130 Bypass Road” between Milo Street and Hawaiian Paradise Park as an alternate to Highway 130. Also included in the initial version of the bill is $40 million for Highway 130 road improvements so construction to expand the highway from two to four lanes or alternate alignments in that corridor between Kea‘au and Pāhoa can be completed. Total funding sought for Highway 130 projects: $55 million. Residents wishing to submit testimony, may do so online. Kea‘au-Pāhoa Road construction on Highway 130 in Puna over the last five years has cost Hawai‘i taxpayers more than $25 million. Speed limits along the corridor have been reduced from 55 mph to 45 mph. There is still much work to be done in the next few years and costs will be incurred as more studies and projects are funded. On Thursday, May 31, 2012, Jas. W. Glover received a contract for $492,620.00 for Kea‘au-Pāhoa Road intersection improvements at Ainaloa Boulevard. Federal-Aid Project No. HSIP-013030. 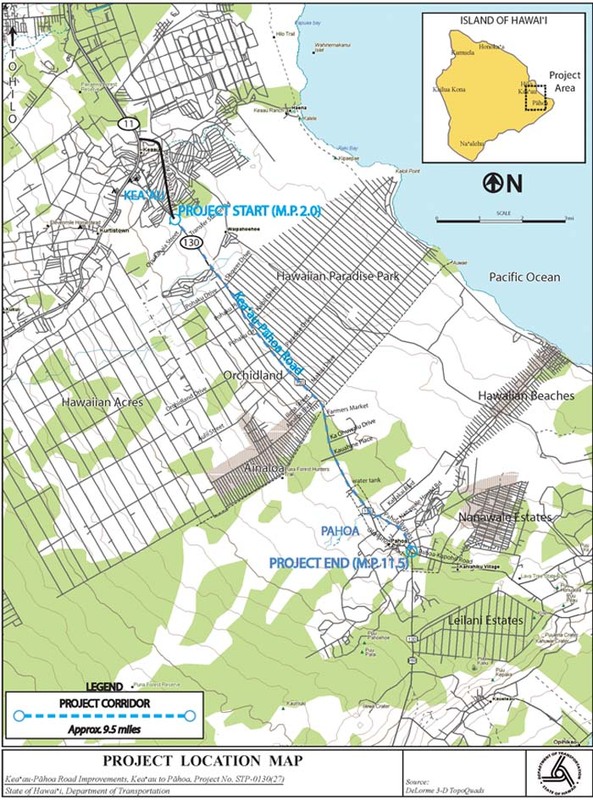 On Wednesday, Feb. 19, 2013, Nan Inc., received a contract for $14,988,673.00 for the Kea‘au-Pāhoa Road Shoulder Lane Conversion Phase one. Federal-Aid Project No. STP-013028. On Wednesday, June 18, 2014, Isemoto Contracting received a contract for $4,819,350.00 for Kea‘au-Pāhoa Road intersection improvements at Old Government Road. Federal-Aid Project No. HSIP-0130 031. On Thursday, June 20, 2016 SSFM International received a contract for $1,275,750.00 for Professional Services. On Thursday, Oct. 13, 2016, Jas W. Glover received another contract for $3,720,700 for Kea‘au-Pāhoa Road Shoulder Lane Conversion Phase 2 Shower Drive Intersection Improvements. Goods, Services & Construction. These costs do not include previous contracts awarded for recommendations made by the Kea‘au-Pāhoa Advisory Group (KPAG). Please assist the State of Hawaii, Department of Transportation, Division of Highways, Hawaii District with a support letter for their Pahoa Road Transportation Investment Generating Economic Recovery (TIGER) Grant Application. I have attached DPW’s letter of support for your reference. Please contact Donald Smith if you have any questions at (808)933-8866. The Hawaii Department of Transportation (HDOT) announces the following traffic modifications in the Hawaiian Paradise Park neighborhood this weekend as part of the ongoing Keaau-Pahoa Road Shoulder Lane Conversion, Phase 2. SATURDAY, OCT. 7, 6 A.M. TO 6 P.M.
Shower Drive from Keaau-Pahoa Road (Highway 130) to 28th Avenue will be closed to thru traffic. Lane shift on Keaau-Pahoa Road (Highway 130) in both directions in the vicinity of the Shower Drive/Pohaku Drive intersection. SUNDAY, OCT. 8, 6 A.M. TO 6 P.M.
Pohaku Drive from Keaau-Pahoa Road (Highway 130) to Pohaku Circle will be closed to thru traffic. Hawaii County has been notified and emergency vehicles will use alternate routes, if necessary, as the work involves milling of the existing roadway and fill with hot mix asphalt. Use of the hot mix asphalt and extended weekend work hours will allow HDOT to complete the necessary paving in this area in one weekend versus over the course of a week. Electronic message boards notifying the public of this weekend’s work will be posted in the area of the planned closures. The Hawaii Department of Transportation (HDOT) provides the following update on the Keaau-Pahoa Road Shoulder Lane Conversion, Phase 2, Shower Drive Intersection Improvements project. Work has temporarily been stopped and is anticipated to resume in early June. Keaau to Pahoa Highway Map Plans from a few years ago. Construction has been temporarily stopped as HDOT is in the process of obtaining a new permit for this project which is designed to improve traffic flow in Puna through the installation of a permanent north bound shoulder lane and a temporary south bound shoulder lane between mile posts 4.15 and 4.25 of Keaau-Pahoa Road (Highway 130) and installation of a traffic signal at the Keaau-Pahoa Road/Shower Drive intersection. The Keaau-Pahoa Road Shoulder Lane Conversion, Phase 2, Shower Drive Intersection Improvements project also involves relocation of water system facilities and utility poles as well as installation of pavement markings, striping, and signage. The contractor for Phase 2 began work in January 2017 using a permit that was obtained for Phase 1 of the shoulder lane conversion project. This permit expired during the Phase 2 construction. HDOT anticipates receiving the new permit within 40 days and is revising the estimated completion date for this project to mid-November. Further updates will be available on the HDOT Highways Division website (http://hidot.hawaii.gov/highways/) under the Major Projects tab. Hawaii Electric Light announces the partial closure of the Hilo-bound lanes on Keaau-Pahoa Road from Monday, Feb. 6, to Wednesday, Feb. 8, 2017. The makai side of the road, about 1,000 feet before Shower Drive, will be closed to traffic from 8:30 a.m. to 3:30 p.m. The Pahoa-bound lanes on the mauka side of the road will be open for two-way traffic flow. Traffic control officers will be on site. Motorists are advised to drive with caution and plan for delays. This week, Hawaii Electric Light crews installed four hurricane-class transmission poles ranging from 75-90 feet and weighing up to six tons. Next week, crews will complete the transfer of power lines and equipment from the existing poles to the new poles. The completion will allow the state of Hawaii to install traffic signals at the intersection of Keaau-Pahoa Road and Shower Drive as part of its road widening improvement project. The County is pleased to announce the launch of punatraffic.com, a publicly available web based traffic monitoring service for the lower Puna to Kea`au area. Traffic conditions along several transportation corridors that may be affected by the June 27th Lava Flow, including HWY 130, will be monitored with thirty cameras. The images are available for public viewing at punatraffic.com. The camera images refresh every three to five minutes and are meant to assist the public in making their travel plans. The website also provides estimated drive times based on current traffic conditions. The traffic monitoring system is a part of the County’s overall plan to monitor traffic flow that may have to be re-routed as a result of the June 27 Lava Flow. The cameras were installed by ICX Transportation Group. The service went live on March 25, 2015. The cameras are government property and specifically programmed to only work with government equipment. Please kokua and respect this public benefit and service. The website also provides social media links to Civil Defense and the County of Hawai`i and can be updated to inform the public about road incidents. Big news regarding the highway and lava. The State DOT is planning to ‘repair’ the highway within a week or two if lava crosses highway. This will involve layers of cinder and a gravel roadbed, and if needed, the truck-bed platform that Bryson Kuwohara has proposed. This is wonderful news, meaning we can expect some normalcy soon after if lava breaches the highway. While there is no guarantee, I have a lot of confidence that the state DOT is taking its responsibility to keep Puna accesible seriously, and that their engineers are looking kindly on this plan. The June 27th lava flow remains active above Pāhoa. The tip of the flow remains stalled about 155 meters (170 yards) from Pāhoa Village Road, which crosses the middle of the photo. Smoke plumes are visible above town, caused by burning vegetation at the site of lava breakouts. A timelapse camera that USGS HVO scientists were using to monitor a lava tube skylight was caught in an overflow this morning. This image shows a comparison of a normal photograph of the flow front with a thermal image of roughly the same area. The thermal image clearly shows the distribution of active breakouts (white and yellow spots), some of which were active around the cemetery. The leading tip of the flow, near Pāhoa Village Road, has stalled and has lower temperatures (red colors). Farther upslope, breakouts are active near the transfer station and are also scattered several kilometers upslope of Cemetery Road. Pahoa and Keonopoko students living north of the flow have been transferred to Kea’au. After speaking with complex superintendent Mary Correa, Senator Russell Ruderman is happy to announce that those students that wish to stay at Pahoa may do so through a geographic exemptions (GE’s). 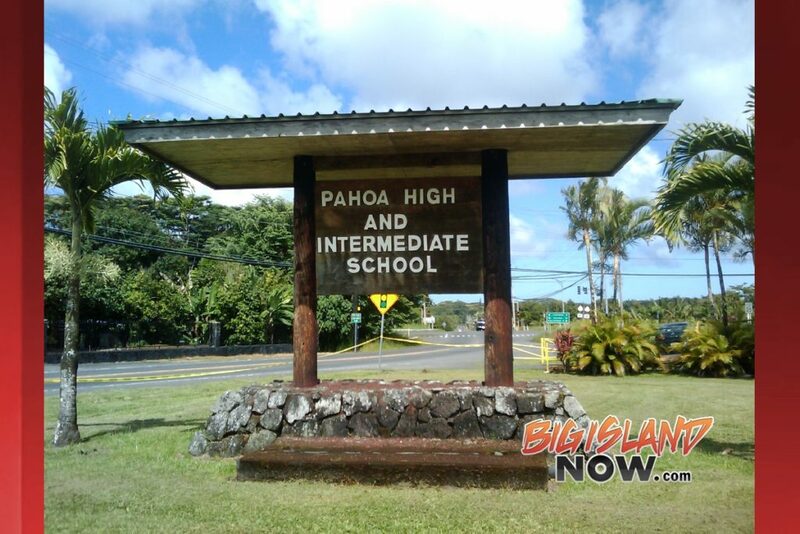 These exemptions will allow Pahoa High students living north of the lava flow to continue to attend school ion Pahoa – as long as they can secure transportation to and from Pahoa. A special accommodation will allow these students to continue to compete for Pahoa teams. Applications for a Geographic Exemption can be found at Pahoa High School at the Registrar’s Office (F106). The June 27th lava flow remained active, and the flow front was nearing residential areas in the northwest portion of Pāhoa. The flow front was heading towards a low spot on the Pāhoa Village Road, between Apaʻa St. and the post office. This annotated photograph shows the notable features around the flow front. The photo was taken at 11:30 am, and also shows the distance the flow front has traveled between Cemetery Rd./Apaʻa St. and Pāhoa Village Rd. This photo was taken at 11:30 am today, when the flow front was 540 meters (0.3 miles) from Pāhoa Village Road. A wider view of the flow, showing its proximity to Pāhoa Village Road. Pāhoa Village Road spans the bottom portion of the photograph. A comparison of a normal photograph with a thermal image. The white box shows the approximate extent of the thermal image. The elevated temperatures (white and yellow areas) around the flow front indicate that significant activity is focused at the front, driving its forward movement. In addition, a slow-moving lobe was active upslope of Cemetery Rd. Farther upslope, scattered breakouts persist in the wider portion of the flow. This is an eruption and lava flow Information Update for Monday October 27th at 2:30PM. The flow continues to remain active and has advanced approximately 35 yards since this morning at 6:40AM. The flow front is currently moving in a northeast direction and is approximately 70 yards from the nearest residential property. The flow advancement has been inconsistent however averaging approximately 5 yards per hour. Smoke conditions were light to moderate with moderate trade winds from the northeast pushing the smoke in a south southwest direction. Smoke conditions may increase in some areas and residents down wind that may be sensitive or have respiratory problems are advised to take necessary precautions and to remain indoors. Based on the current flow location, direction and advancement, residents in the flow path were placed on an evacuation advisory and notified of possible need for evacuation beginning last night. The evacuation advisory for those residents down slope of the flow will continue and residents will be kept informed of the flow status and advancement. The Pahoa Village Road between Apa’a Street and the Post Office Road will remain closed and limited to area residents only. In addition, Civil Defense and public safety personnel will be operating in the area round the clock to maintain close observations of flow activity. Additional updates will be broadcasted as conditions change.